Red Sox, Redskins, all things baseball, and sports memorabilia. I work for a company of a HOFer that is a Baltimore icon. My guess is tonight they will wear the burgundy jerseys with white pants. It's hard to be a staunch defender of the name when the team keeps shooting themselves in the foot like this. I guess they changed the facemask too? Gray facemasks with those as opposed to blue ones on their regular helmets. God I hate the No Fun League.... Wait, the Bears wore their throwbacks this past weekend. What gives?? ^Wow good point. Taking photos and they still have the old collar. Interesting. IMO, RG3 and this new team bring new life to our uniforms. I'm only a few years older than you and I love our current uni's. Change for the sake of change is just dumb and you walk down a dangerous path. (see: Dolphins new uniforms/logo) Nah, I really don't. Not at the expense of my team looking like they belong in an arena league. Which is the way uniforms are headed these days. Here I can kind of agree. The Red Sox wear that blue jersey only on Fridays and only on the road (Red on Fridays at home). The new road uniform, introduced in 2009, was an upgrade and it was actully a nod to the old road uniforms they used to wear. The main difference being that they put names on the back and the Sox logo on the sleeve. 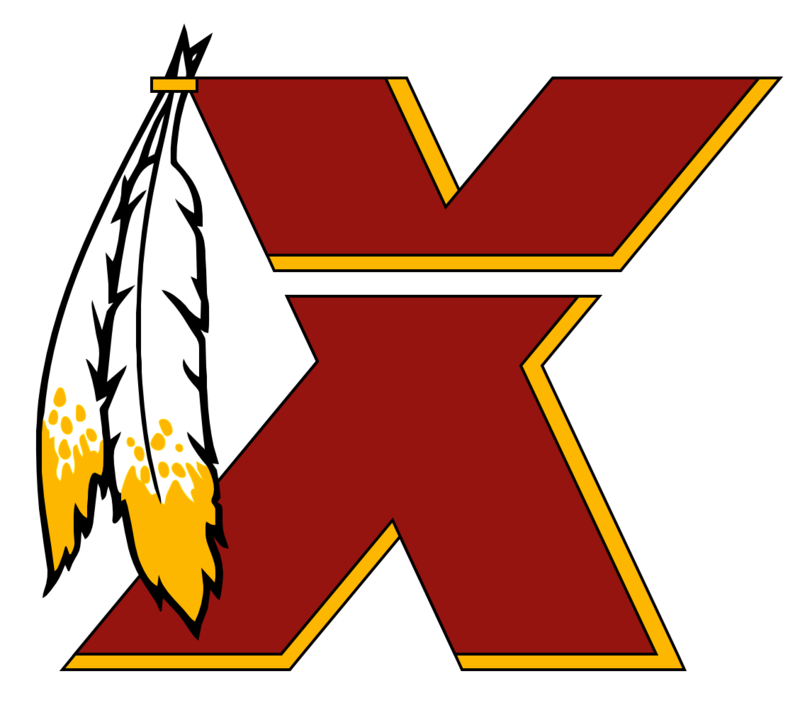 Otherwise, the Boston Red Sox have stayed true to their roots, as the Redskins should. That Miami logo looks like it should belong to a baseball team. You have to have some kind of intimidation factor in your logo in football, and Miami's just doesn't fit. We did not come this far just to lose to freaking Dallas man. GET IT DONE!!!!!!! They tend to wear the white or burgundy pants whenever the other team has yellow or gold pants on. See Tampa, Packers. I've been saving my 1,000th post for this thread! **** the COWTURDS!!!!!!!! Oh I'm sure it's 12-4 or something crazy like that. After all, they fixed the ONLY problem on their team and addressed the secondary. Yeah I'm section 135 so right where the Extremeskins tailgate or thereabouts at least is pretty good.. ---------- Post added August-15th-2012 at 07:10 PM ---------- Yeah true. And B3 passes are widely available so people are going to be buying those up.